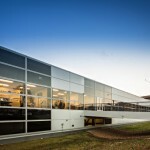 Food and Drug Administration - S. M. Wilson & Co. Food and Drug Administration - S. M. Wilson & Co. 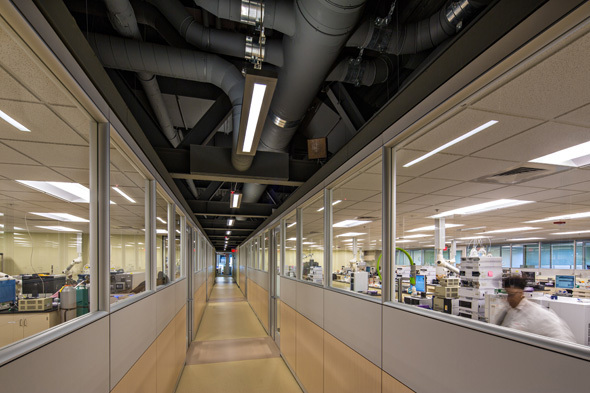 The existing Pfizer vivarium was converted to a facility that will support the Food and Drug Administration. 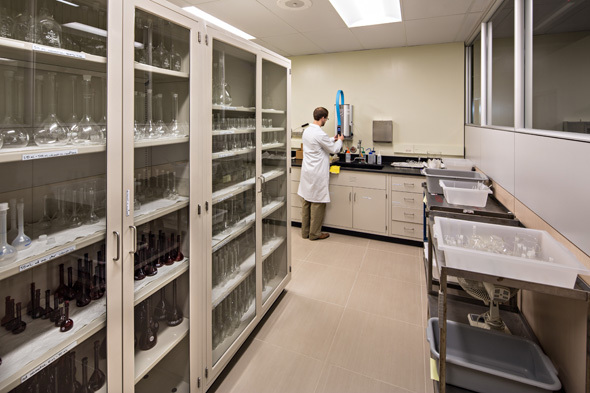 The new facility includes laboratories, offices and conference rooms, storage and miscellaneous support spaces. 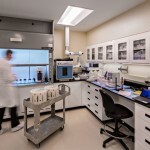 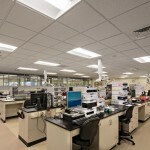 In order to maximize the adaptability of the lab space, a modular design was utilized. 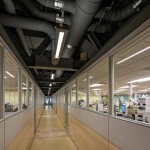 All piped services and electrical conduits were fed from overhead and independent of the wall structure to allow for future modifications to the lab spaces. 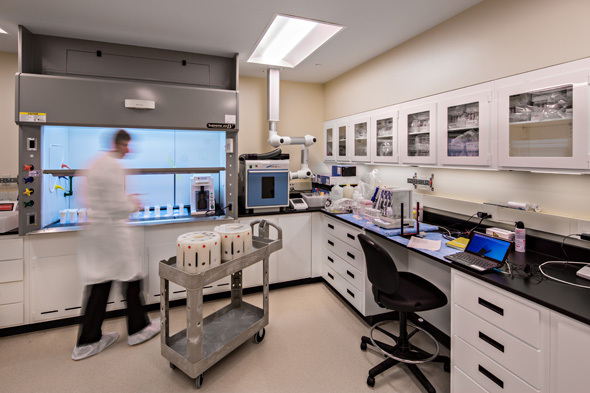 The lab space includes a lab vacuum, direct piped Nitrogen, Helium, Compressed Air, fume hoods and snorkel exhaust, medical gas outlets at various locations, emergency shower and eyewash stations. 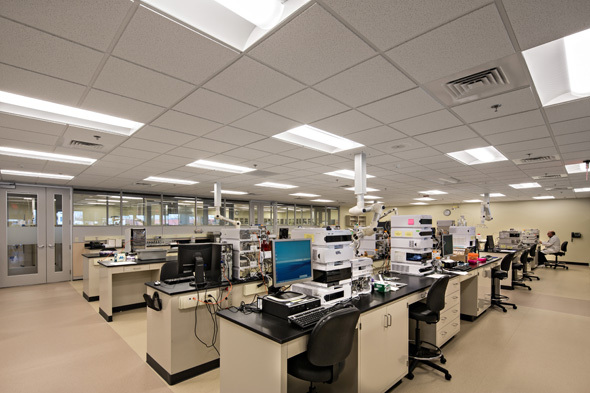 The laboratory was designed to meet all of the current requirements for improved building performance and reduced energy consumption to achieve LEED certification. 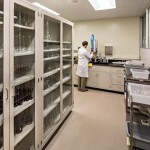 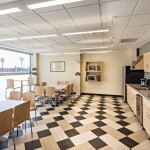 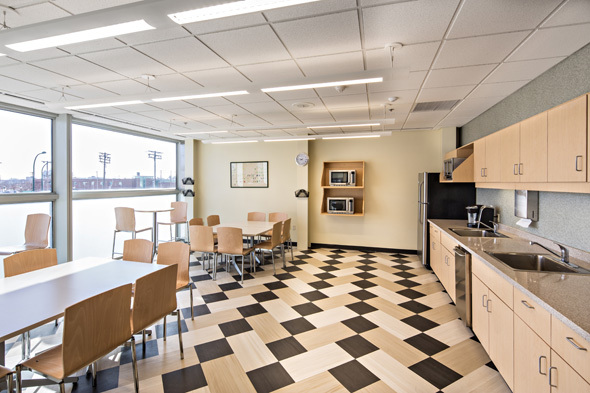 Also included in the project was a fit-out for Washington University School of Medicine for a bio-repository space. 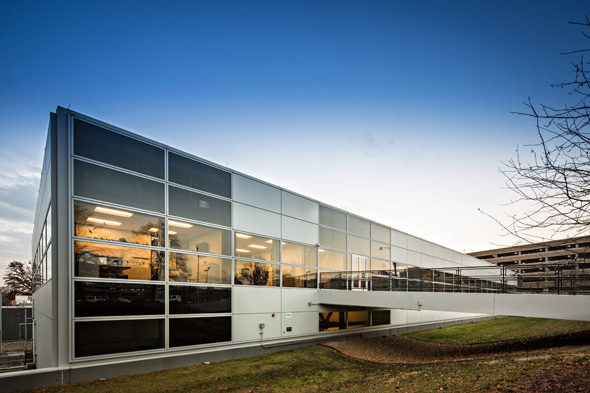 -80 °C freezers, walk-in cooler and a freezer storage room were constructed as part of the project.